WE PROTECT THE PARK: We mobilize people and forge alliances to respond to threats to the park and engage in issues in the surrounding communities when there is a risk of detrimental impact on the park. WE PROVIDE A MARGIN OF EXCELLENCE: We augment federal funds and services, rather than replace them. We raise philanthropic funds and recruit volunteers for projects and programs in Acadia and for its stewardship. We create sustainable revenues through endowments where appropriate. WE WORK WITH COMMUNITIES: We promote public conservation in surrounding communities through programs and grants that enhance their natural character, protect Acadia’s unique resources, and strengthen the park’s integrity. WE FOCUS RESOURCES: We steward our organizational and financial resources to maximize the benefits of programs offered and funds expended. We engage in projects and programs that we believe will have the greatest positive impact on the park. WE LEVERAGE DONATED FUNDS: We operate on a sound financial basis, leveraging member’s charitable gifts to bring the highest conservation return per donated dollar. WE PROMOTE VOLUNTEERISM: We supply a corps of motivated volunteers of all ages to meet designated park needs, including the upkeep of foot paths and carriage roads, thereby encouraging individuals to develop a deeper sense of connection with the park. WE PROVIDE OPPORTUNITIES: We seek a broad and diverse membership to maximize the number of park advocates, stewards, and donors. 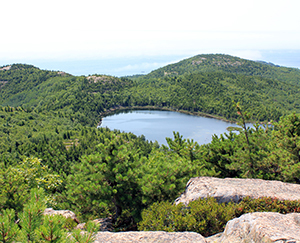 We encourage every visitor to join Friends of Acadia as a means of giving back to the park that inspires them. WE ADVOCATE: We advance the interests of the park and its visitors before Congress and the Maine Legislature, within the National Park Service, and before other federal, state, and local bodies. WE PROMOTE EXCELLENT MANAGEMENT: We speak for park visitors to encourage the continual betterment of park policies and operations. WE EDUCATE: We provide and support education of the public regarding the legacy of our national parks and the conservation values they represent. WE WORK IN PARTNERSHIP: We believe in the power of collaboration. By working in partnership, we extend our reach, access specialized skills and talents that complement our core capabilities, avoid duplication, and engage additional resources in the park’s protection. WE OPERATE INDEPENDENTLY: We function as a free-standing nonprofit organization, supportive of the park but independent from it. We reserve the right to differ respectfully. WE OFFER LEADERSHIP: We are committed to setting the standard for national park partnerships, providing supportive philanthropic leadership. Through benchmarking and rigorous performance measurement of our efforts, as well as calculated risk taking, we strive to continuously improve the quality of the visitor experience while preserving the park’s natural character.